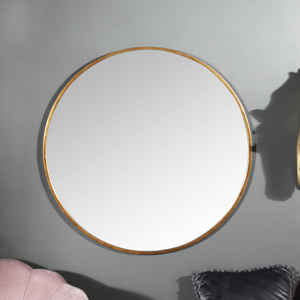 Add a chic, stylish statement to your home decor with this stunning wall mirror. 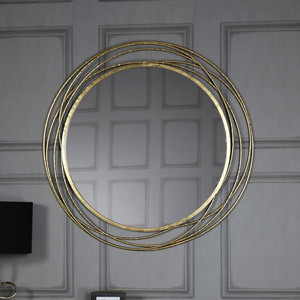 Round mirror with a metallic gold frame adding some elegant colour. This is a mirror that will look simply fabulous hung on the living room or hallway wall. The simple round design just makes this look so efforlessy chic and glamorous and will also make a gorgeously vintage bathroom mirror. 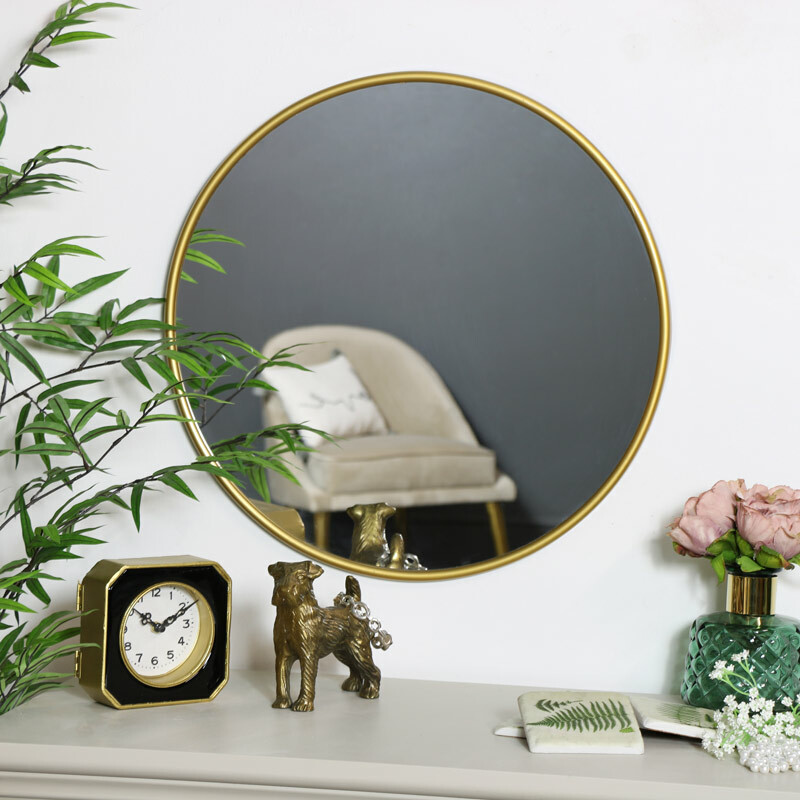 A fantastic addition to our growing range of wall mirrors with even more to choose from in a great choice of sizes and colours. 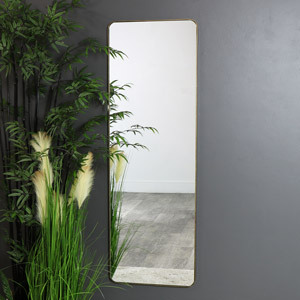 Add a chic, stylish statement to your home decor with this stunning wall mirror. 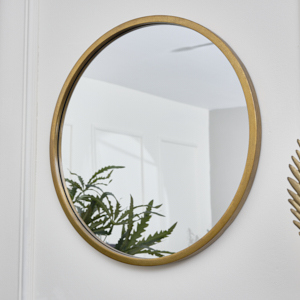 Round mirror with a metallic gold frame adding some elegant colour. This is a mirror that will look simply fabulous hung on the living room or hallway wall. The simple round design just makes this look so efforlessy chic and glamorous and will also make a gorgeously vintage bathroom mirror. 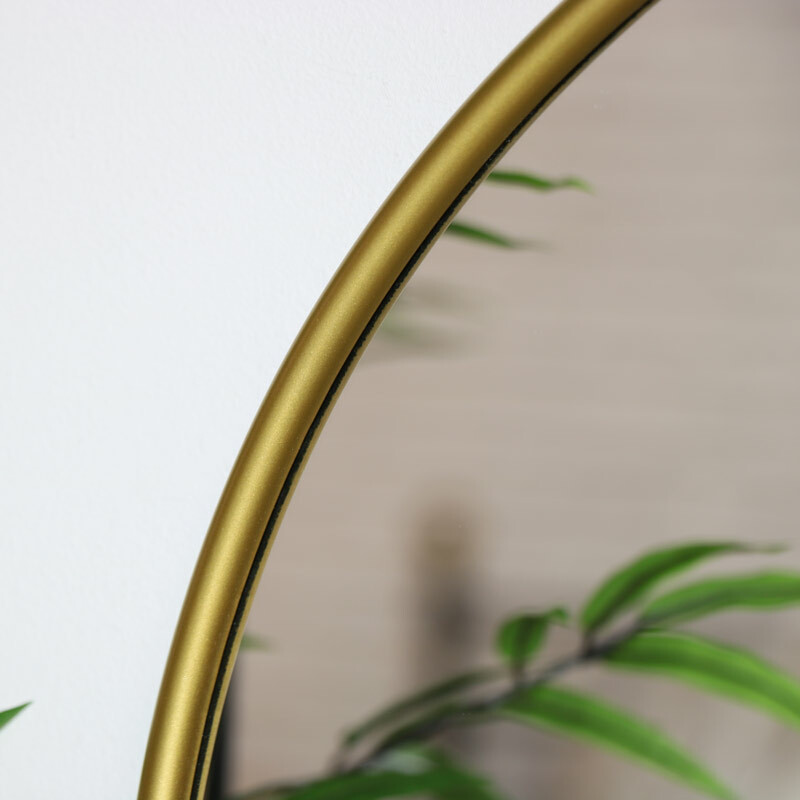 A fantastic addition to our growing range of wall mirrors with even more to choose from in a great choice of sizes and colours. Round plastic frame in a metallic gold finish. The mirror is easily wall mounted with a hook on the back for hanging.